Kevens Curtains - Who are we? 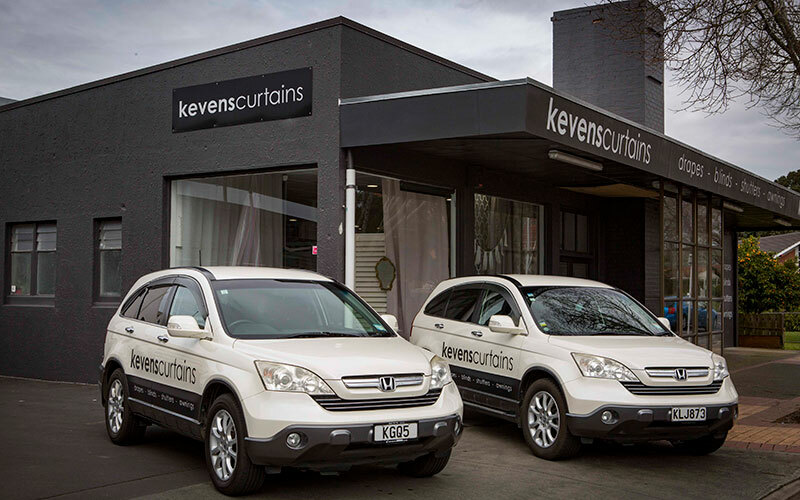 Kevens Curtains Ltd is a large drapery company, in the heart of Pukekohe, specializing in all forms of window treatments and coverings including drapes, blinds, shutters, awnings, exterior blinds and much more. We offer a FREE Measure and Quote service providing on the spot, in home service and advice on whatever your requirements may be. Nothing is too difficult for our staff members to tackle. We used to be a department of T.E. Keven and Sons for many years which was a large well known family owned department store right in the middle of Pukekohe main st. In October 2008 we became our own company with Christine Smith, who has been a part of the business for at least 25 years, purchasing the department and managing us under the new name Kevens Curtains Ltd. Sadly, Stuart Keven, the owner of TE Keven and Sons has given up the business to enjoy his retirement with his growing family, as well as having plenty of time for a game of golf or to head out for a fish! This prompted our move to a fresh new showroom where you will now find us, at 22 Queen St, Pukekohe. Not much has changed, we are the same friendly staff with the same great products and services, as well as offering new and exciting things as time progresses. We are loving our new spot and our new showroom, with much more space to create all sorts of exciting displays to give you ideas and inspiration for your own homes. Our staff members are able to offer all the help and advice you need, as well as having specialized staff with design and colour training, you are sure to get the best help and advice to get you exactly what you want or need. We endeavor to bring you the latest in fabrics, products and services from all over the world. We have some of the best fabric houses and product suppliers in the country to provide you with the most advanced selection of fabrics and designs, giving you not only the best products around but also at a great price. Come and see us today and discover the wide range of products and services we offer as well as meeting some of our friendly staff members and exploring our great showroom. We look forward to seeing you in store soon. 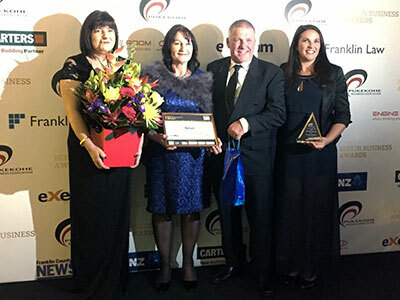 We are so excited to announce that we won the Retail Category of the Pukekohe Business Association Best in Business Awards for 2017! It is such an honour for us to win this and we would like to say a huge thank you to all our amazing staff and customers for helping to make this happen. We couldn't do it without you.